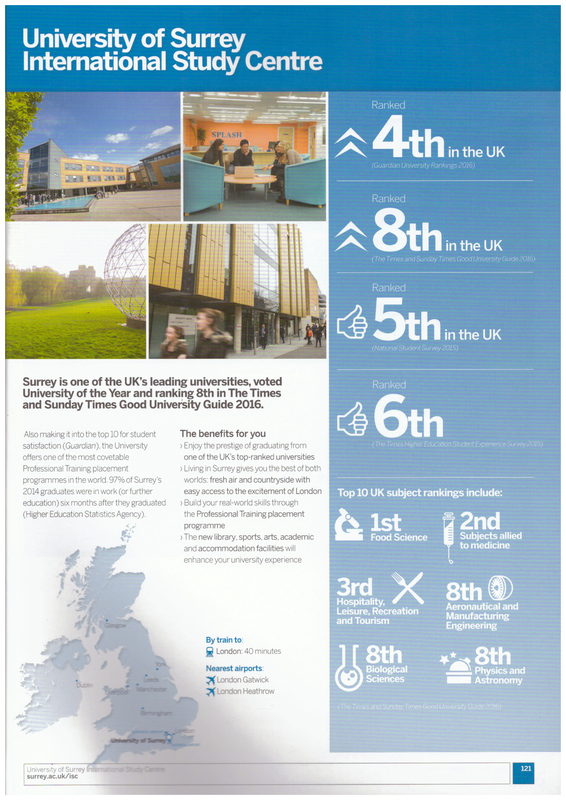 Established in 1966 with roots dating back to 1891, the University of Surrey is an ambitious, research-intensive academic institution. Considered the leading higher education institution in South East England, Surrey. The University is ranked highly nationally; 4th in The Guardian University Guide 2017, 7th in the Times Higher Education Table of Tables 2016, 8th in The Times and Sunday Times Guide 2016 and 11th in The Complete University Guide 2017. 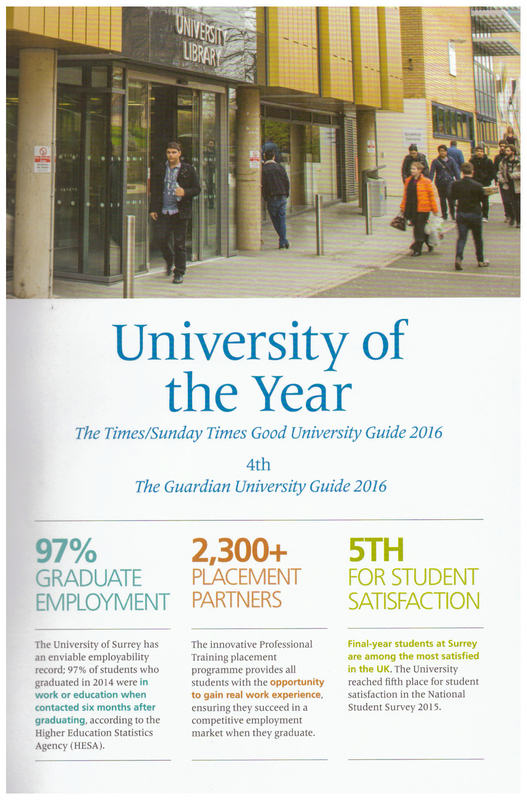 A world-class university, Surrey maintains its excellent reputation by providing a learning environment where students can excel, contributing to Surrey being named both Times and Sunday Times University of the Year and University of the Year for Student Experience 2016. Surrey is ranked within the top 1% of universities in the world by the QS World University Rankings 2015 and is placed 18th in the QS league table of the world's highest-performing universities under 50 years old. Also, Surrey is 43rd in the Times Higher Education's ranking of the top 150 universities under 50 years old and is included in the publication's European University Top 200 Rankings. University of the Year 2016 and Ranked 4th Overall on the Guardian University Guide 2016. A Levels and IB Diploma students, look no further!